Today marks the beginning of a new series! 11 other bloggers and I are doing a 5 Days of Summer Series that lasts from June 17th through June 21st. There’s some fun topics being discussed. Things like Summer Salads, Summer Organizing, Summer Reading and more! 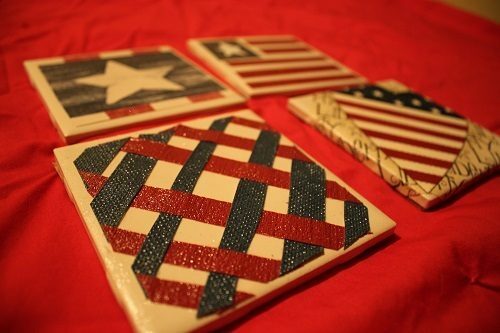 In my section of the series, I’ll be sharing about Patriotic Crafts, decor and foods, just in time for the 4th of July (aka Independence Day). 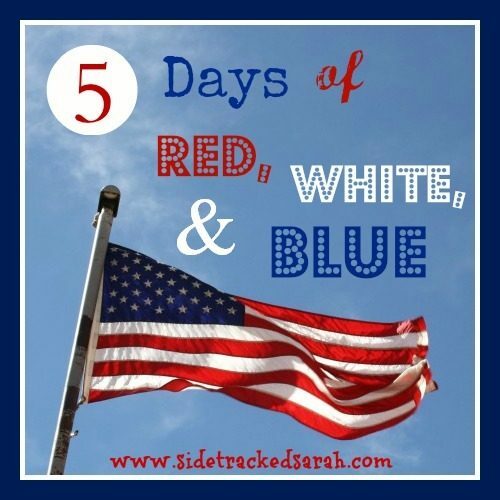 That’s why I’ve named my series, 5 Days of Red, White & Blue. 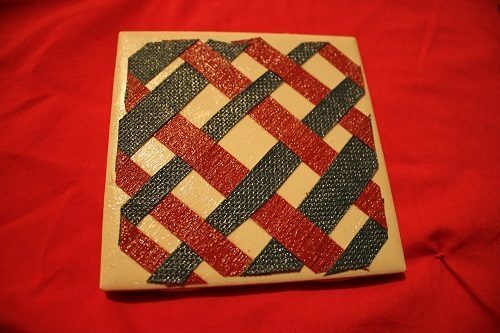 Cut your paper so that it will fit on the tile. In our case, we had some oddly shaped paper from a wallpaper book and my 13 year old daughter decided to coordinate the coasters but not make them identical. 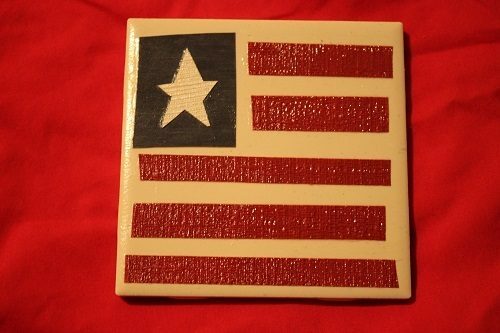 Paint Mod Podge onto your coaster. Paint Mod Podge on top of the paper. 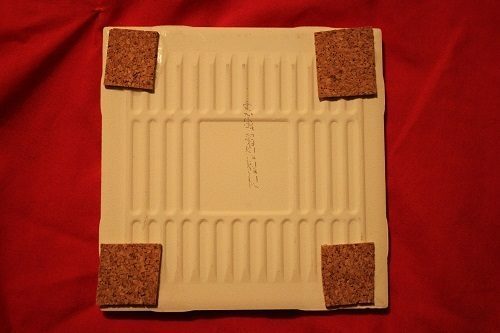 Once dry, hot glue the cork or felt to the bottom corners of the coaster. Finally, spray the coasters with Clear Acrylic Sealer to protect the paper from being damaged from condensation from the glass. And don’t forget to go and visit the other bloggers who are taking part in this series, by clicking on the picture below. You’ll see topics like Summer Adventure for Boys, Summer Travel, and Camping Fun. Another Chance to Win the Crock-It Lock-It! cute cute cute! another great idea, Sarah. I'm thinking we could make a set for each season and holiday. Thank you again, my friend!